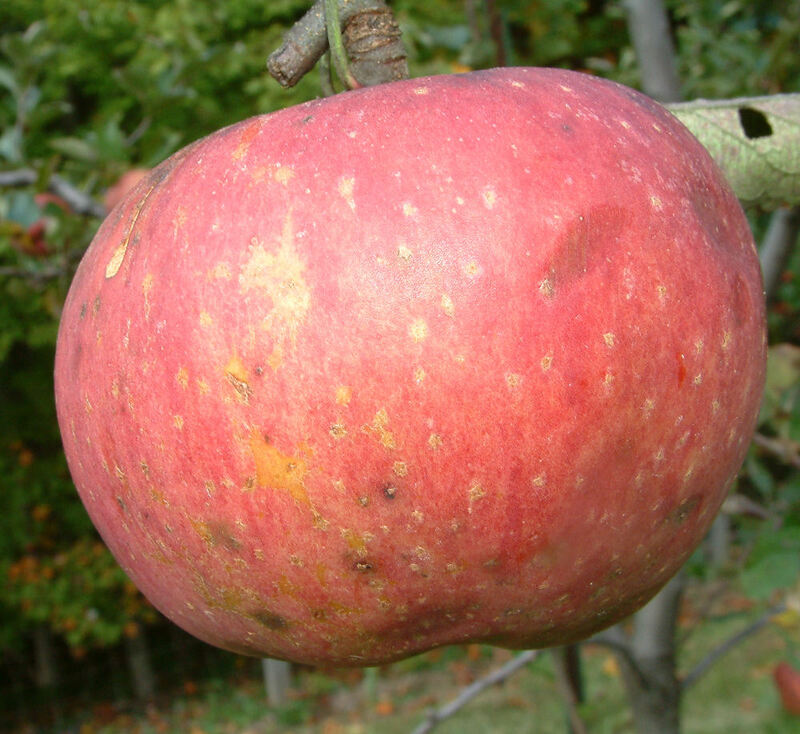 This apple arose with the Smith family of Francisco in Stokes County, North Carolina before the start of the Civil War. It was grown commercially by Garland Smith around 1900 in a large orchard containing over 2000 trees. The apples were sold by Mr. Smith in the Mt. Airy and the Winston-Salem areas and were popular for producing cider vinegar. According to Calhoun in his wonderful book, an ancestor of Mr. Smith describes Smith Seedling as “a very tasty apple, a good keeper, and especially good to fry since they don’t cook to a mush.” The fruit is medium-sized and slightly flattened on the ends. The skin is light green in color, with a dark-red blush on the sunny side and overlaid with darker red striping. Flesh is yellowish, fine-grained, crisp and juicy. Ripens October and is a good keeper.